Lake Atitlan, or Lago de Atitlán, is one of the world’s most breathtaking natural wonders. In the shadow of majestic volcanoes, geometric blades of light dance across the lake. Lush, rolling hills envelop the lakeside town of Panajachel in the mysteries of the highlands of Guatemala. And the easygoing pace of life fills all who visit with a deep sense of ancient calm. Situated just 500 meters from the lakeshore, we welcome you to discover Regis Hotel & Spa. As one of Panajachel’s most relaxing hotels since welcoming our first guests over a half century ago, this unique boutique hotel has served as a tranquil oasis immersed in lush gardens at the center of downtown “Pana.” Though we are just steps from everything, we offer a peaceful, quiet setting for families, couples and groups to leave the modern bustle and distractions behind. 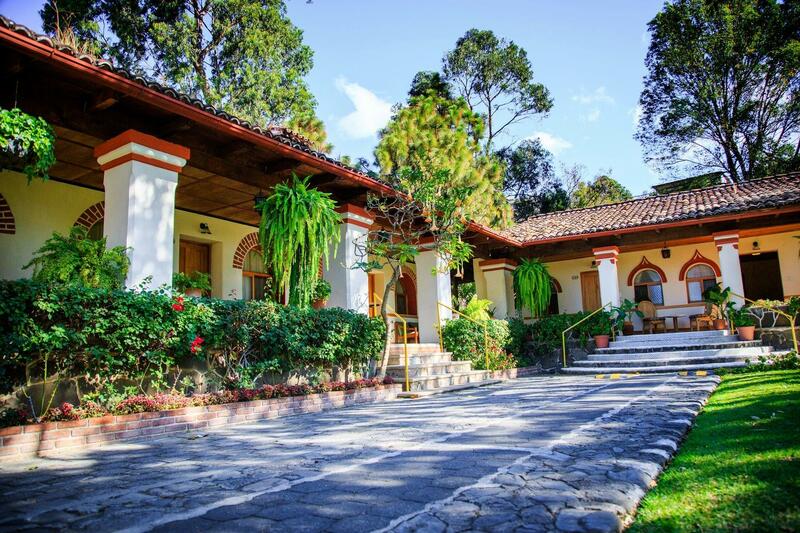 Amidst our beautifully landscaped botanical gardens, guests enjoy panoramic views of a trio of knife-edged volcanoes - San Pedro, Toliman, and Atitlan - that plunge dramatically into the crystalline waters of Lake Atitlan. 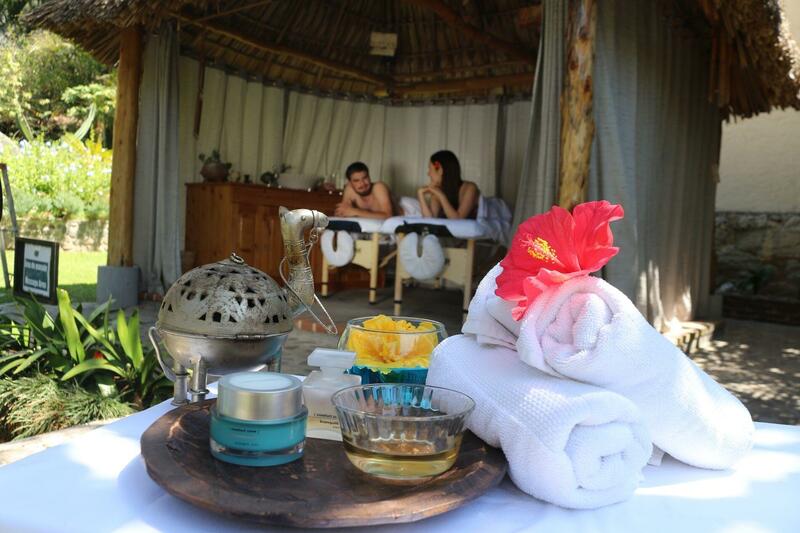 Immerse yourself in the healing, volcanic, mineral-enriched waters of our natural, thermal Jacuzzi. 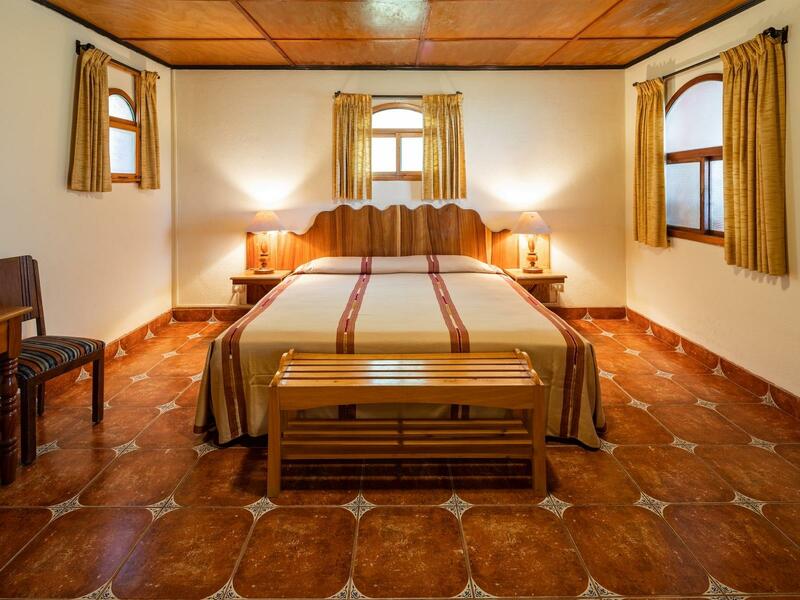 It’s the only hotel spa of its kind in Panajachel, Sololá. Just beyond our doors, diverse dining, shopping, entertainment and recreational activities beckon you to join the friendly locals at play. Take pleasure in the exhilarating pursuits and cuisine that have transformed "Pana" from an out-of-the-way backpacker’s town into a one-of-a-kind vacation retreat. 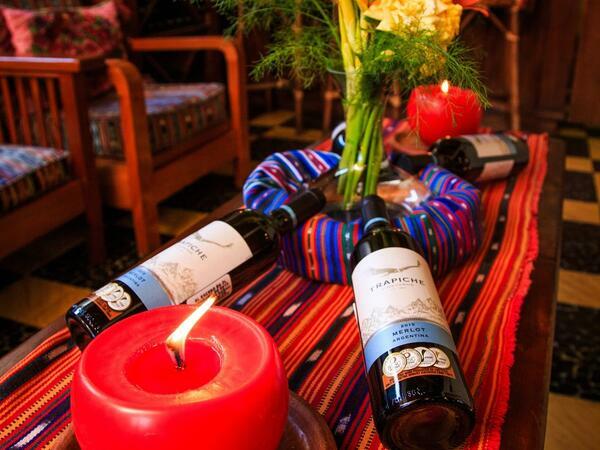 Escape to Pana and experience the uniquely Guatemalan warmth and hospitality of Regis Hotel & Spa. These spacious, 300-square-foot rooms offer garden views. Planning a wedding in Lake Atitlan? 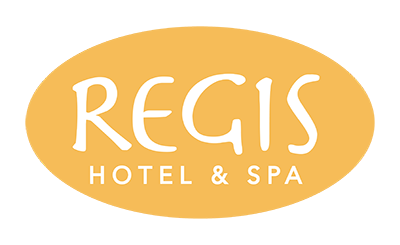 Regis Hotel & Spa is one of the most beautiful venues in the area with a lush, tropical garden offering a dramatic setting for up to 100 guests. 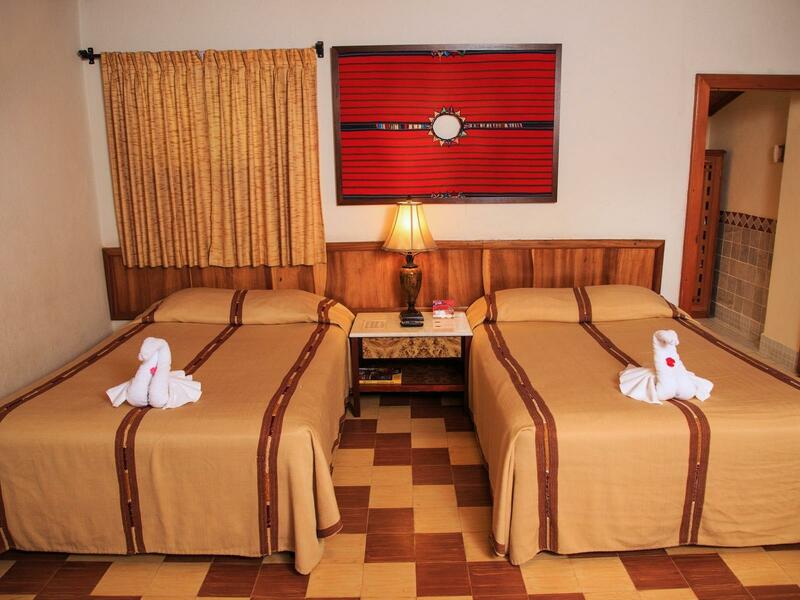 A dynamic downtown location just steps from Lake Atitlan, we welcome you to enjoy charming ambiance and warm, gracious hospitality. Experience more of our hotel for less by selecting from our exclusive collection of special hotel deals and vacation packages. 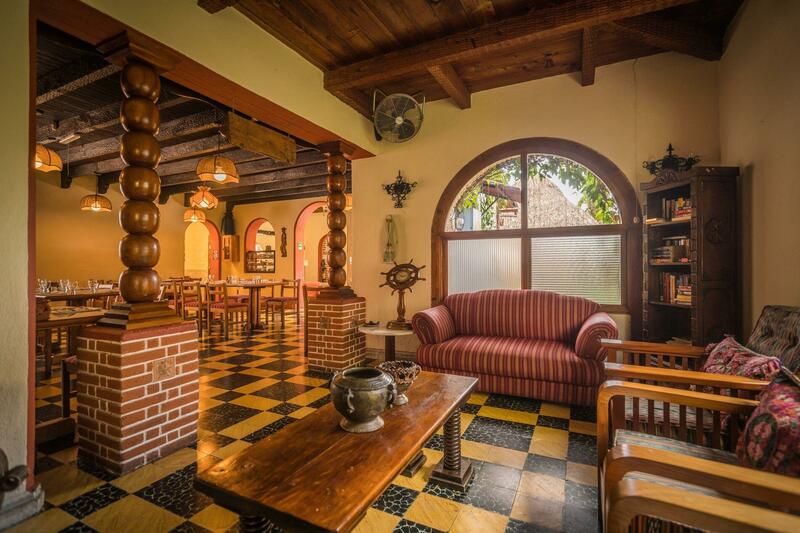 Inspired by both Guatemalan and international flavors, Regis Hotel & Spa is home to Paya Restaurant and the Lounge Bar, both of which are perfect for any taste and occasion.